the denim studio by agf... — hello, y'all. denim is an american classic. it's iconic. it's an everyday essential. 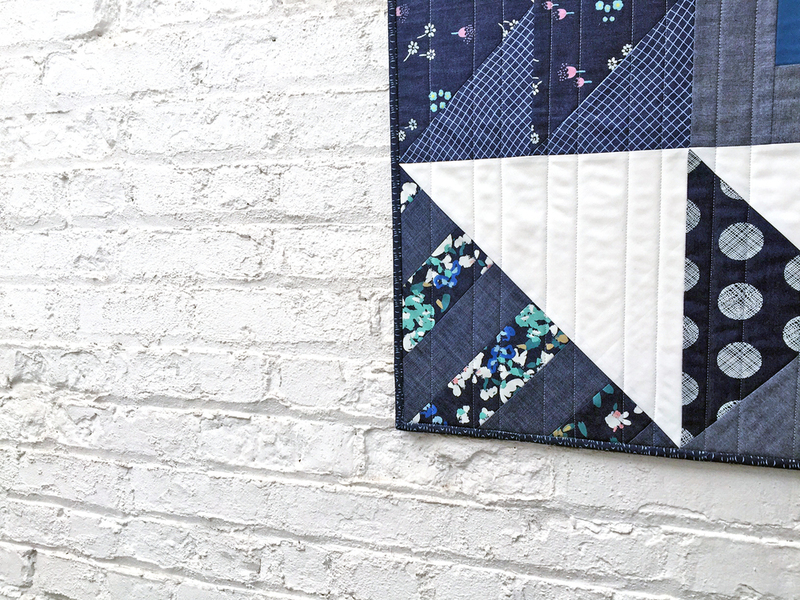 i first discovered the denim studio by art gallery fabrics during fall quilt market. i immediately fell in the love with the prints, colors, and hand feel of these new chambrays. the 100% cotton denim prints, solid texture denim, premium linen blend and smooth denim are perfect for quilting and garments. the lovey dobby is great for any bag you can dream of. they're absolutely delicious! i couldn't wait to create with these and when art gallery asked me to host a blog tour with some of quilty friends, i couldn't say no! i started with re-making one of my favorite quilts, "surfacing" using art gallery's pure elements as the background and the new denim prints as the octopus. finishing at 12'' square, i love how chic and modern it is! then i started following the lines on the puzzle sandblast print with embroidery thread. embroidery is so relaxing, why has it taken me so long to start? i can't wait to use the finished project for a foot stool cover. it's going to be so much fun! maybe even dip-paint the stool legs in gold?! 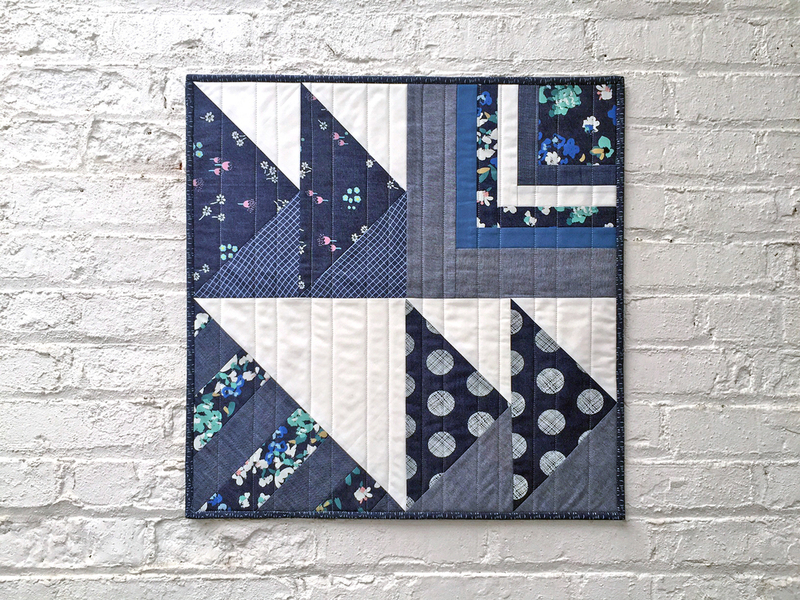 and finally, i created a 20'' sampler mini quilt that has a combination of flying geese, log cabin, and half-square triangle blocks. i love the mixture of art gallery's pure elements and the denim prints. it's so cute! even my new intern, steve, from fink toys loves it! be sure to check out these bloggers to see more projects. you'll definitely "feel the difference" with these new substrates. you can also see other awesome projects with the thedenimstudiobyagf hashtag!